Choosing a Fraser Dingo 4wd Hire Camp Package is a great option for groups who want the convenience of camping on the beautiful eastern beach of Fraser Island. 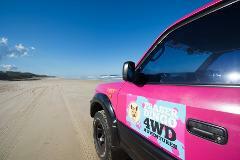 Maximum of 5 people, add a per person package to your 2 day Group 4wd Getaway. Choosing a Fraser Dingo 4wd Hire Camp Package is a great option for groups who want the convenience of camping on the beautiful eastern beach of Fraser Island. 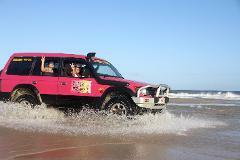 Maximum of 5 people, add per person package to your 3 day Group 4wd Getaway. Choosing a Fraser Dingo 4wd Hire Camp Package is a great option for groups who want the convenience of camping on the beautiful eastern beach of Fraser Island. 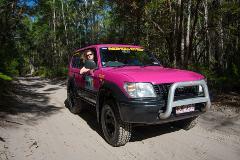 Maximum of 5 people, add per person package to your 4 day Group 4wd Getaway. 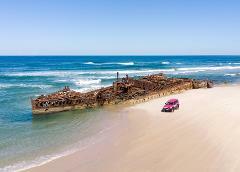 Priced for max 2 people Experience Fraser Island with our 4WD Camper. Sleep in the back of the car! No tent needed! Priced for 2 people this package includes everything you need for 4 days on Fraser Island to slow down, relax, and enjoy.